These lists were often constructed in the context of demonstrating the ways in which language was (or was not) unique to humans, i.e. whether or not humans posses an innate ability for language acquisition. This was a time when several researchers were analyzing data of attempts to teach apes language (see, for example, Gardner and Gardner, 1969; Premack, 1970, 1971; Terrace, 1979). This categorizing and listing approach was common at the time and was also a feature of other academic areas of study such as psychology and sociology. “…the basic sound units of speech, such as P, I, G, are normally meaningless by themselves. They only become meaningful when combined into sequences such as P–I–G PIG.” (Aitchison, 1976:38). In many respects this is fairly self-evident. It is readily observable that elements such as individual consonants (e.g. /p, b, t, d, k, g/) or vowels (e.g. /u, a, i/), combine to create primary level (word) units, e.g. pig, cat, door. This is probably as far as one would wish to go in defining the concept of duality. 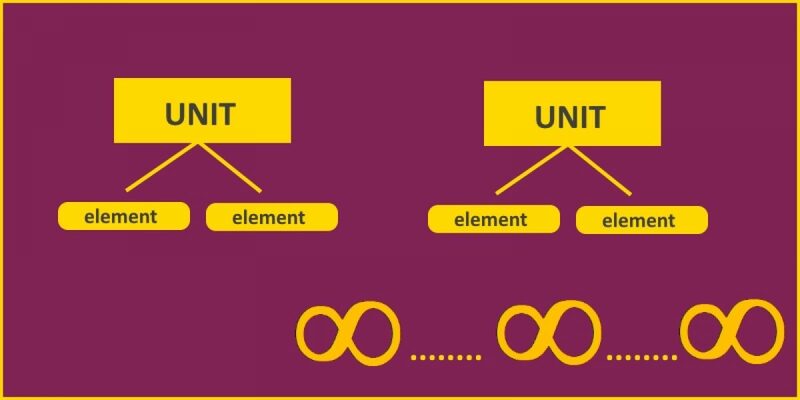 One could, of course, investigate further what counts as an element or the rules regarding how these elements may combine to form units, and so on, but fundamentally duality is little more than the concept/observation that language is organized on at least two levels. That is to say, the concept of duality is a statement about the organization of language. In sum, this means that language can be used to produce an infinite set of new and meaningful utterances. We can say things that no one has ever said before or state previous ideas in new ways. Such novel utterances are meaningful and readily interpretable by others. It is unlikely that you have ever heard (read) the following before and yet, if you are a speaker of English, you will likely be able to process it (but perhaps not understand everything out of context). The aliens from the planet Karb predetermined their fate owing to mammoth errors of judgment. In sum, the distinction between these two concepts is (according to Aitchison’s and Lyon’s definitions) that duality is a statement about the organization of language, whereas productivity is a statement about language production (sometimes referred to as creativity). The definitions used here are quite old. However, they have not changed much since the 1970s. In some respects these concepts (duality and productivity) are not especially helpful, because they subsume to simply saying that language is organized at two levels and this allows us to construct novel utterances. As I have indicated, this is fairly self-evident and it does not add a great deal to our understanding of the nature of language. The listing approach is not used much nowadays but it remains a favorite type of question on linguistics courses: rather like the perpetual focus on the Sapir-Whorf Hypothesis. This is the idea that thought is the same thing as language. Whilst it gained much attention when first proposed it has now been debunked, as recent advances in cognitive psychology have improved our ability to study thinking and to separate this process from language. Despite the fact that there is no credible scientific evidence that language and thought are the same thing, this topic keeps on being set as an essay question in college/university courses. Gardner, R.A. and Gardner, B.T. (1969) ‘Teaching sign language to a chimpanzee’ Science 165, 664 672. Lyons, J. (1977) Semantics: Volume 1 Cambridge: Cambridge University Press. Premack, D. (1970) ‘The education of Sarah’ Psychology Today 4, 55-8. Savage-Rumbaugh, S. and Lewin, R. (1994) Kanzi: The Ape at the Brink of the Human Mind New York: John Wiley and Sons. Terrace, H.S. (1979) Nim New York: Alfred A Knopf.